We eat eggs for breakfast often and sometimes the kids get tired of them. Grain-free pancakes pack a lot of protein and healthy fats kids need, so we opt for coconut flour or almond flour pancakes when we need a break from eggs. These easy almond flour pancakes are a regular on the menu at our house now. If you’ve gone grain free and are missing pancakes, try these! My favorite part about these pancakes is that they only have three main ingredients and can be made in less than five minutes! 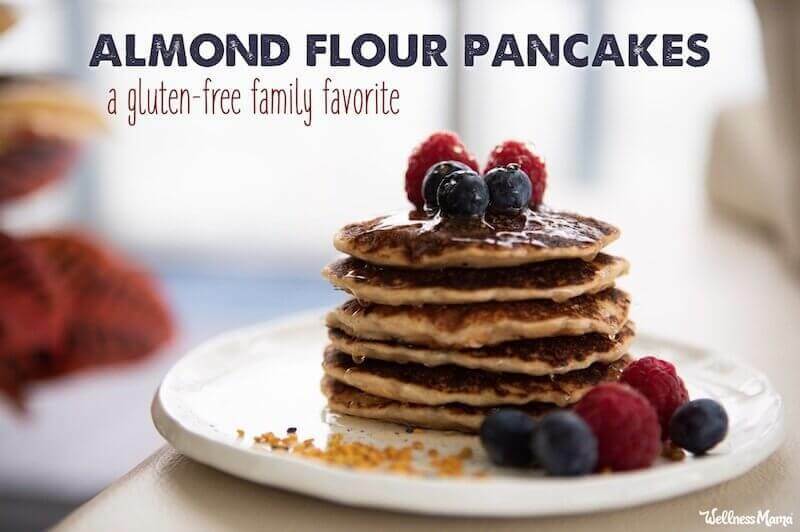 I use blanched almond flour as it provides a very smooth and fluffy texture, but any high quality almond flour will work (though there will be some variation in the final pancake with different flours). They are GAPS legal and dairy optional, but they are so delicious no one would ever suspect we are making them for health reasons. Once you master almond flour pancakes, try coconut flour pancakes or grain-free crepes to keep the breakfast menu interesting. A note on grain-free pancakes: These will be a little denser than your traditional pancake. The good news is, you don’t have to make 50 of them to fill everyone up! A few small pancakes have enough protein and fiber to really satisfy. The options are endless! Give these a try and let me know what you think! 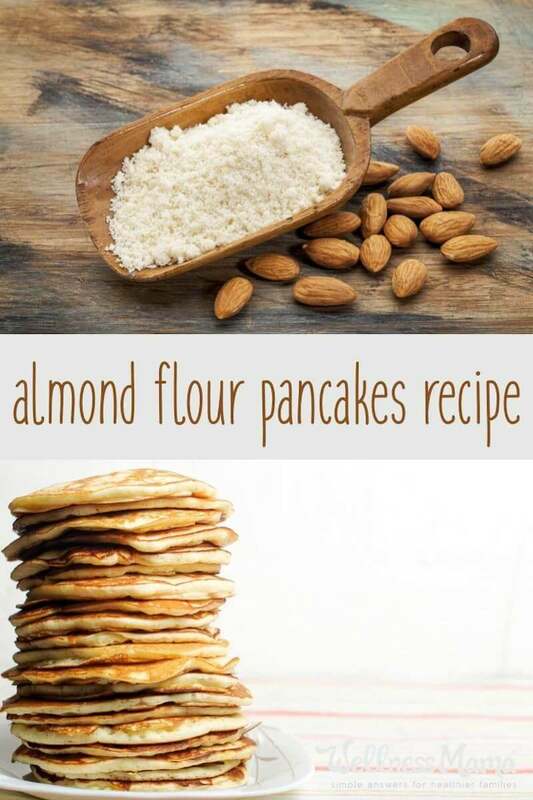 A simple and delicious almond flour pancake with only three necessary ingredients for a fast and healthy breakfast. This recipe is also very easy to double or triple for larger groups. Mix all ingredients in a medium sized bowl using a hand blender or immersion blender until batter is a pourable consistency. Make one test pancake to check for desired thickness and texture. Thin with additional water or milk if necessary. Cook all pancakes on a preheated griddle or in a large pan for approximately 2-3 minutes until bubbles form. Flip and cook an additional 2-3 minutes until they are done in the center and both sides are golden brown. Enjoy playing with the add-ins and spices on this one to make your own favorite combo or a delicious seasonal pancake. What is your favorite on-the-go breakfast idea? Share below!